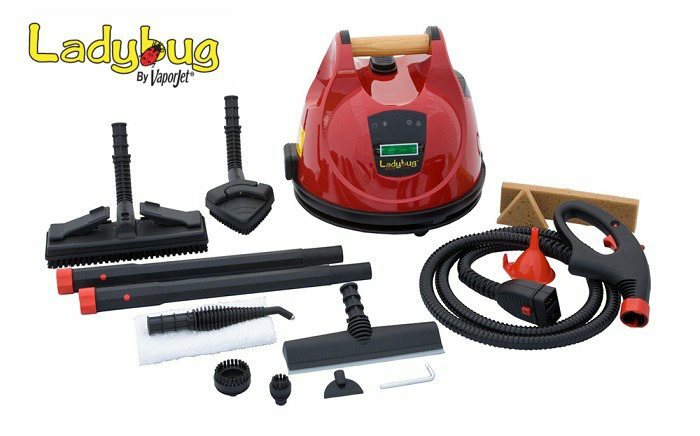 The Ladybug 2350 Continuous Fill Steam Vapor System with TANCS offers the best tool for treating bed bugs as well as an all purpose cleaner once the bed bugs are gone. Equipped with TANCS technology and functional operating PSI of 80+, the 2350 effectively kills germs and bacteria and qualifies as a disinfection device with the EPA. The Italian made LadyBug TEKNO 2350 is the most advanced steam vapor system we carry offering great control, continuous fill ability and exclusive TANCS technology. 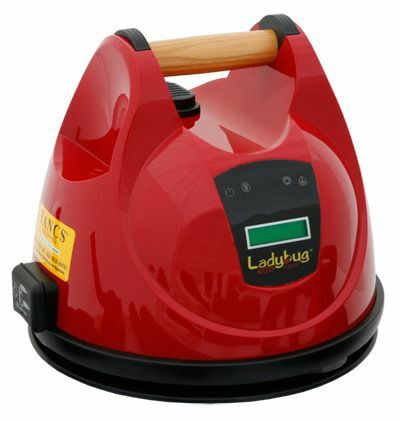 The LadyBug 2350 delivers great versatility allowing the user to effectively kill bed bugs and germs as well as clean and disinfect most surfaces without the need of cleaning agents. The Ladybug 2350 with TANCS differs from the 2300S with TANCS we offer in that is has a higher PSI (80 vs 66), a digital display and finally a higher boiler temperature (318º vs. 298º F) . The LadyBug TEKNO 2350 kills bed bugs on contact and includes the attachments necessary to gain access to cracks and crevices where bed bugs may reside or be hiding. We like the continuous fill option on the LadyBug, which allows the user to re-fill the unit at any time with water without having to wait for it to cool down. This continuous feature can be especially helpful when steaming large surface areas. The LadyBug also has a steam adjustment knob allowing the user to control the steam flow, which is essential when steaming bed bug without blowing them around. 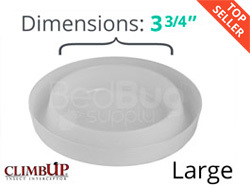 The high surface temperature of between 220º and 230º Fahrenheit is also well above the necessary 180º degrees needed to kill bed bugs on contact. 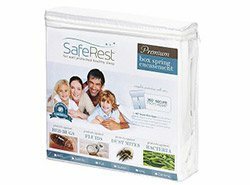 Remember when steaming for bed bugs to move at no faster than 1” per second to ensure lethal application. Those looking to disinfect their homes and kill bacteria will like the LadyBug's TANCS technology, which crystallizes the minerals in normal tap water. Once crystallized, the minerals are heated and dispersed as steam. Finally, the newly formed crystals disrupt the cell membranes of germs causing a quick death, but is completely safe for humans and pets. 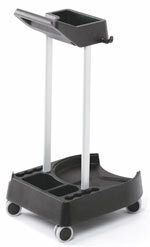 LadyBug with TANCS technology qualifies as a disinfection device with the EPA. TANCS technology also reduces the amount of mineral buildup in the boiler extending the life of the unit. The LadyBug Steam Vapor System is a well rounded premium unit for those looking for the best available for cleaning, killing bed bugs and dust mites as well as those wanting to keep their home as sterile as possible. Steaming floors, carpeting, sofas, mattresses and chairs regularly can help remove odors, improve home air quality and help those with asthma and allergies. You want your home to be clean, but the toxic chemicals in traditional cleansing agents may actually do more harm than good. AdVap's innovative WATER ONLY cleansing process removes the dirt you can see and kills the germs you can't - in one easy step. It even improves the quality of the air you breathe. What’s more, because our systems use only small amounts of water, treated surfaces are dry within minutes. And the whole process is virtually mess-free! No superficial chemical or abrasive cleaners, harsh toxic fumes, or dulling chemical residue. Safe for your family and pets. 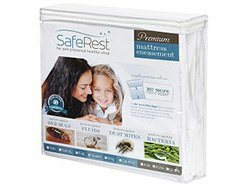 Safe for the environment—no pouring toxic chemicals down the drain. Effective on much more than carpets and floors. You can sanitize and deodorize nearly every surface in your home. With a SAFE way to clean your home and protect your family. Anyone who reads the news knows that toxic household cleansers and detergents pose a hidden health hazard for family and pets. Unlike other cleaning or pest control methods, Advanced Vapor Technologies' products use heat—rather than chemicals or poisons—to do the work. The result? Not only will the surfaces you target get really clean, but your indoor air quality will improve too. But safety is only part of the story, because our appliances are highly versatile, effective, easy to use, and mess-free, too! Our satisfied customers will tell you…their homes look cleaner, they smell cleaner, they feel cleaner. Contact us today and see for yourself! 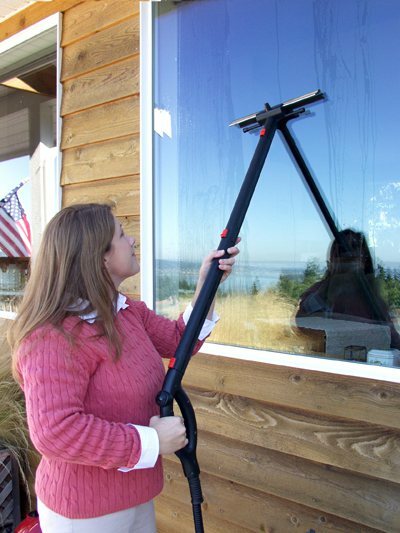 •The versatility of the steam vapor system is unmatched by any other cleaning method. •Its potential goes way beyond carpets and rugs to every area of your home, even places where traditional cleaning methods can’t reach! •Thanks to the finer mist and hotter temperature, dry steam offers greater penetration into surface area pores, blasting dirt and grime. •Results are dramatic and immediate. •Regular use over time with a TANCS system results in a disinfection baseline that approaches sterilization! •Because the TANCS process is so effective, results last longer between cleanings. •There’s no disinfectant mixing, storage, disposal concerns, lengthy dwell time requirements, or confusing label directions. •With our continuous-fill units, water is added to a non-heated reservoir instead of the boiler. Unlike other systems, you can safely add water at any time while you work! •Plus, with the Ladybug’s efficient no-wait water refill feature, you don’t have to wait for the Ladybug’s boiler to reheat after it runs out of water. 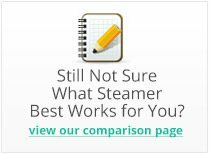 Unlike other steam vapor systems, the boiler retains steam and power even when the reservoir is empty, so it is ready to use as soon as you add water. Because our products produce high temperature “dry” steam vapor that carries only about 6% water, very little water is left behind. Surfaces are cool to the touch almost immediately and dry within minutes. The proprietary Ladybug system is specially engineered for sustainable temperature and pressure, trapping the hot steam at the surface to remove the dirt. Relying on heat instead of high pressure means a more thorough clean with less mess.